There are a lot of firms and information technology giants that are currently providing courses in Hadoop programming. It is very important to realize that big data along with Hadoop is going to change the way the world sees information technology. Big data technology cannot work properly if you lack proper knowledge of how to use Hadoop as a tool. Thus, to become a part of the big data evolution a certification in Hadoop is necessary.Coming across multiple websites we often wonder how tedious it must be to keep them all different, well this is precisely what the programmers and techies do, they make the web unique and every website has a different layout and matter compared to other. Hadoop deals with making big data presentable and organized for the viewers to be able to make sense out of it and to draw or form conclusions based on what they see on the internet. 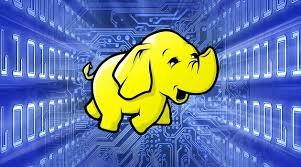 So what exactly is Hadoop? Hadoop in its essence is nothing but open source software, which simply means it, can be used by anyone who knows how to use it. It has been developed by apache software, and is freely distributed all over the World Wide Web. It is one of those software that have a staggeringly diverse use in form of storing data on one server or a multiple number of servers, it can also involve cloud storage or cloud computing although that is not mandatory. Hadoop works in magnificent ways, it makes it possible for one computer to make changes to a data independently, and in case there is a server failure that data can be accessed by the cluster of servers that work in unison. This means that if you use Hadoop your data is so safe and secure unlike other software management solutions. It is also possible to segregate and aggregate the data at one platform. Thus, these solutions are really holistic as well as safe. This is probably the reason why it is one of the most preferred data housing solutions until date. Hadoop provides a host of job opportunities to the masses. It requires an administrative official; this supervisor is the main official who keeps a tight hold on the subordinates as well as on the servers that are performing the said tasks. This is important to keep a check on the data that is in circulation. Thus, maintaining standards is a part of Hadoop training certification courses. The fact is the whole functionality of servers working on Hadoopis dependent on the potential of the administrator to manage things.